Inbound or online marketing can be in-your-face or on the subtle side, and the best approach depends upon where the user is in your established sales funnel. Are they just building their awareness and poking around for some initial information about your product or service? Or, are they sure of what they want, just not sure they want to get it from you? Or – in the best case scenario – have they already decided on you as a supplier or provider, and are simply wanting to make a purchase and get on with their day? There are a lot of methods to meet the needs of a potential or current customer. Inbound marketing campaigns can be described as employing the ultimate online salesperson… one who knows exactly where everything is and how to take people want to be. 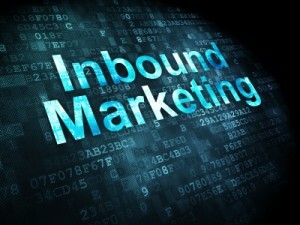 It doesn’t really matter if you’re not totally sure what inbound marketing is, however, as long as your website does. A Calgary web design company such as Emphasize Design can incorporate online marketing techniques directly into the functionality of your website in a way that integrates into its look and feel while also providing value for both the owner and user. Calgary web design companies can build sites in several different ways. They can use anything from straight-up HTML (which often means that content will not be able to be altered easily) to a more user-friendly Content Management System (CMS) like WordPress, which allows even the layman to make changes without much fuss…and even from their cellphone! More and more often, clients are opting to work with companies that offer the CMS option, not only because of the simplicity, but also because they tend to be faster, cleaner, more streamlined and easier to flag for search engines. All Emphasize Design websites are designed to be flexible, efficient and responsive across all platforms. Although it may seem to go without saying, it is essential to ensure that all of the content you have provided is correct and up-to-date and that the features that you have included are attractive and operate like they should. And while on the topic of content, further define your company’s philosophy and mission through a regular blog, which can greatly enhance your appearance of reliability and responsibility as a business. All inbound marketing websites must include social media activity consistently on pages where warranted, and its integration should also inspire conversation. Do not allow your social media accounts to become afterthoughts… having a lackadaisical approach makes it pretty obvious that they are not a priority. Social media is all about sharing, and if you don’t participate in the culture then you might as well withdraw completely. And finally, all of your website’s activities should be tracked at all times by some sort of analytics software. If not, essentially everything you are trying is a guess or stab in the dark, and you have no way of knowing what is successful and what isn’t. Don’t be overwhelmed, though. Website analytics programs can be tailored depending on your requirements and what makes the most sense for your online marketing campaign. For example, some may want to know everything from how many inbound links they earned to what Call-to-Action (CTA) performed the best for that month. Others may only be interested page performance and organic vs. non-organic traffic results. Emphasize Design of Calgary offers fully customizable online marketing packages that encompass all the necessary elements for an inbound campaign that provides value to both you and your business’s clients. Our mission is to always remain passionate about what we do and who we represent.